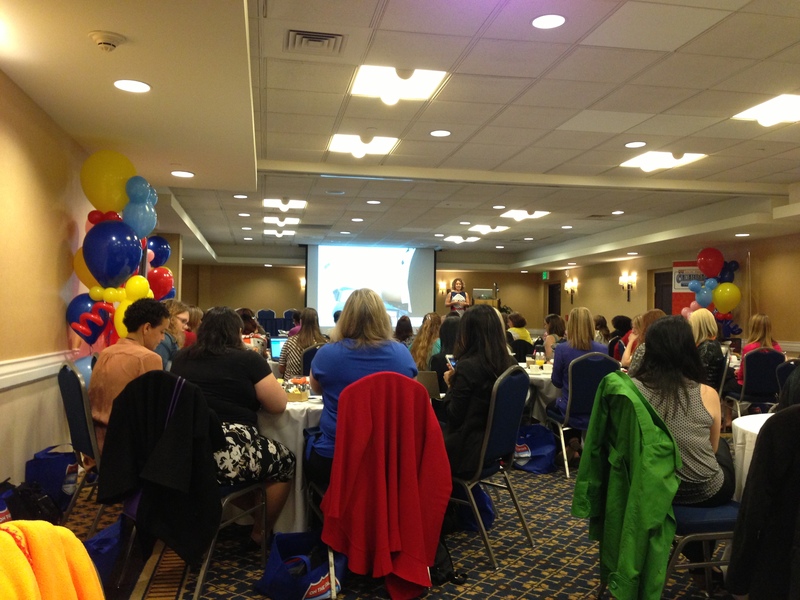 I recently had the incredible opportunity to go to a Disney Social Media Moms- On the Road Celebration here in Seattle. Check out my shock and awe and a little bit of background on the event in this previous post. 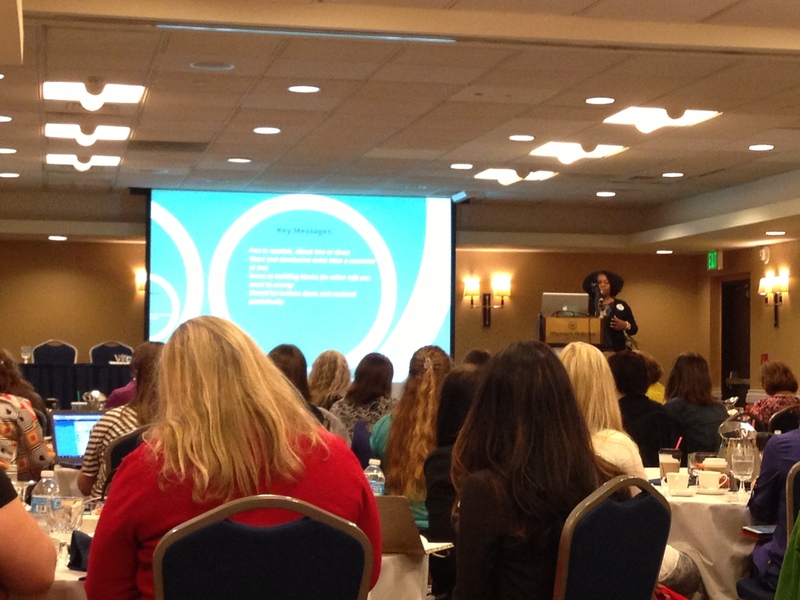 Disney Social Media Moms attracts the top mommy-bloggers around. Like really, these girls are on their game! Which was part of my surprise when I received an invite.. Prior to the event I really tried to find out as much as could about the other attendees through Twitter and a Facebook group I joined. The topics ranged from mommyhood to fashion, thrifty living to fitness. There were about 70 attendees in total. 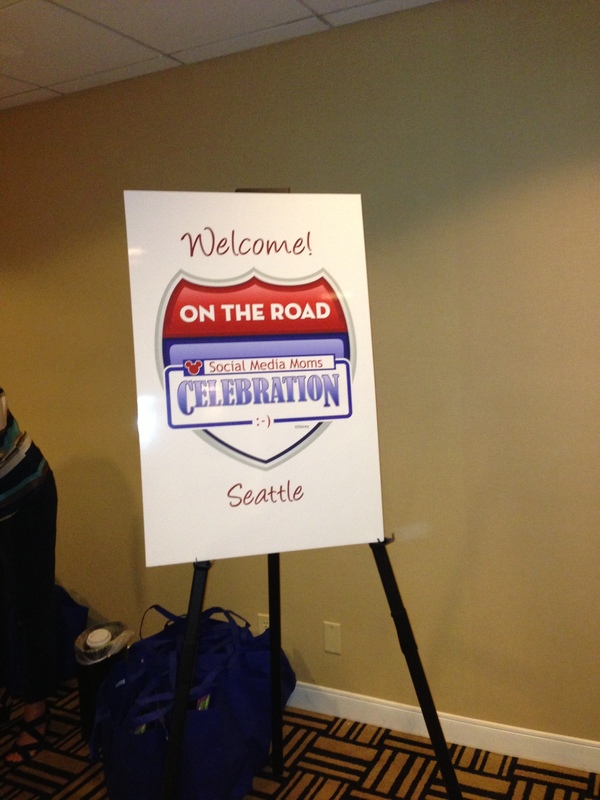 The event was held at Sheraton Bellevue, not terribly far from my own front door. The moms were corralled in the hallway outside the ballroom, and this is where the first bit of networking began. I was nervous. I’m not the type of person to introduce myself to complete strangers, but the very first mom I met was definitely nervous as well, and for some reason this helped calm my own nerves. Pretty soon I realized that this was a welcoming bunch, and everyone seemed to have a genuine interest in learning what others do. 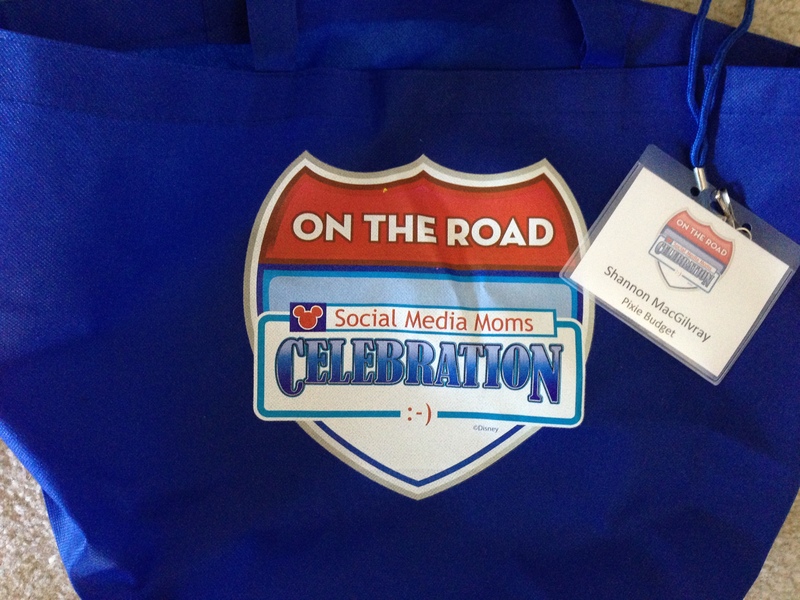 Name badges and a swag bag (which was awesome, by the way) were handed out! 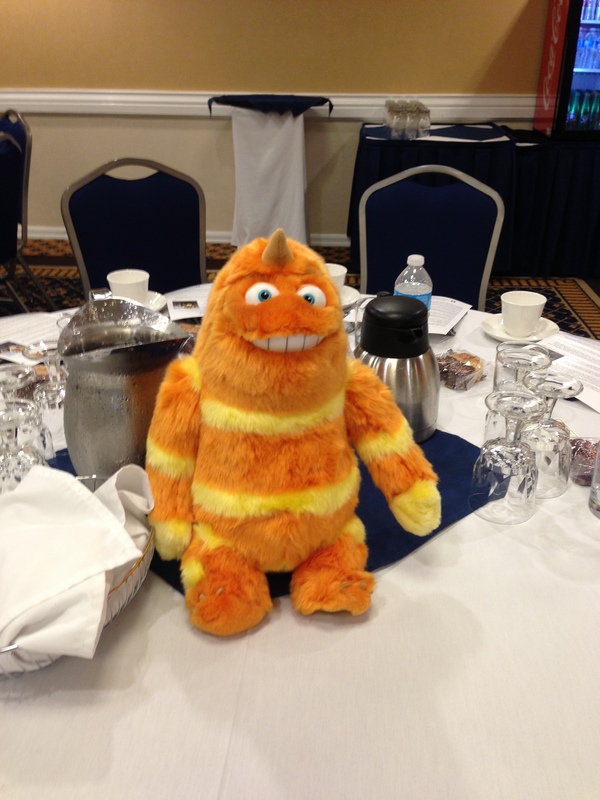 There were cute Monsters Inc. plush on each table. I got to know some tablemates like Candy from Mother of Style, Jordan who writes for Hip Travel Mama, and Robin at Million Dollar Mompreneur. 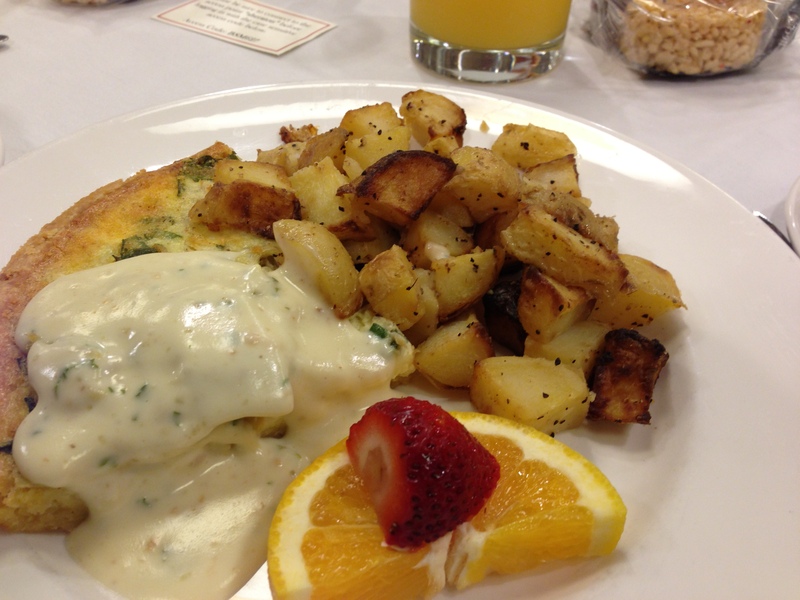 Breakfast was quickly served, and I will say it was quite delicious! 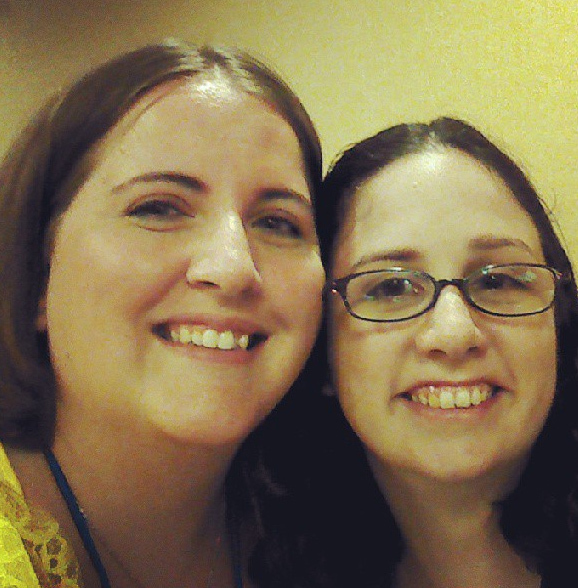 I also got to meet Becca from Love Our Disney, which was great! The very first speaker was Michelle Himmelberg, PR Director at Disneyland. Michelle had an interesting story as she started out as a sports writer. She was one of the very few female writers at the time, which meant she had a challenging time accessing professional players for locker room interviews. This didn’t stop Michelle however, and made her stronger. She formed The Association for Women in Sports Media, and eventually won the right for equal access to players. She will be featured in an upcoming ESPN documentary called “Let Them Wear Towels”. Erin took us through all of the park updates for Disney World and Disneyland. She was quite funny, and did a great presentation. You can follow her on Twitter @GoPluto. 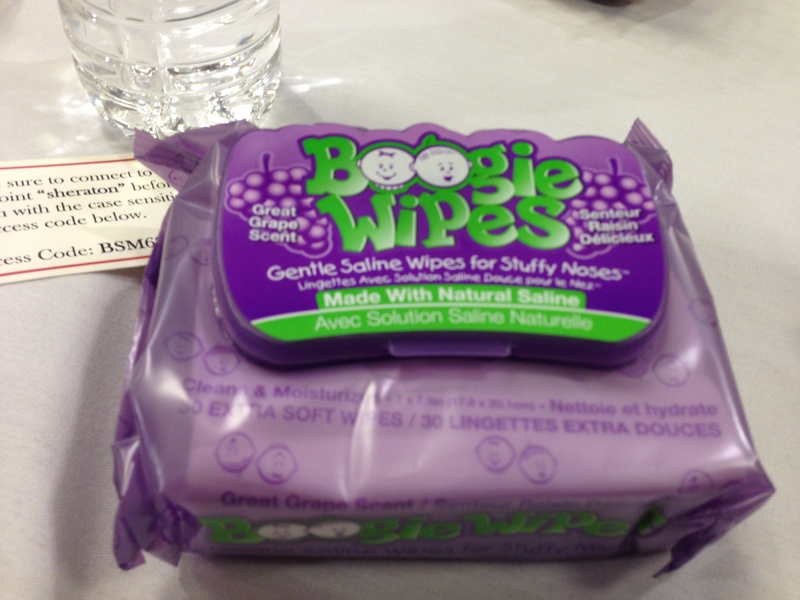 The keynote speaker was Mindee Doney, creator of Boogie Wipes. Mindee’s presentation was something I’ll remember for a long, long time. She was forthcoming, inspiring and even a little surprising. Mindee spoke of her own path of motherhood with the ups and downs that come with it, all while creating a national brand at the same time. I don’t actually want to spoil it by paraphrasing. Mindee is working on an upcoming book tentatively entitled “Boogie Wiped”. I will most definitely read it, and I suggest that you do too. Sari Craven, founder of BooginHead, who’s products are found everywhere from Walmart to Babies R Us. The ladies did a great job of answering questions. I was really excited to see Sari Craven as well, as I might have been scoping out one of her products Squeez’Ems recently.. Finally, Michelle Stepney the Global Content Manager for Disney World gave us some basic on-camera media training. All too soon it was time to wrap the celebration. However, thanks to the Facebook group I joined, I knew many of the bloggers would be meeting for lunch at Azteca next door. I really enjoyed lunch with all of the ladies. My quesadilla was not so hot, but the company was amazing! It was great to ask questions and get to know each mom. This was one of the best treats of the day. 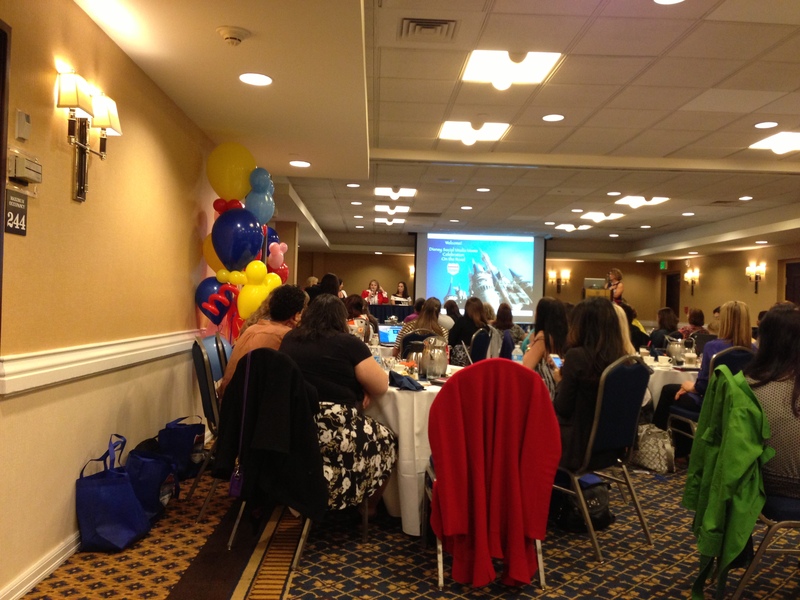 I am overjoyed that I had the opportunity to attend Disney Social Media Moms- Disney On the Road Celebration. Having a bit of Disney in Seattle was just the tip of the iceberg. 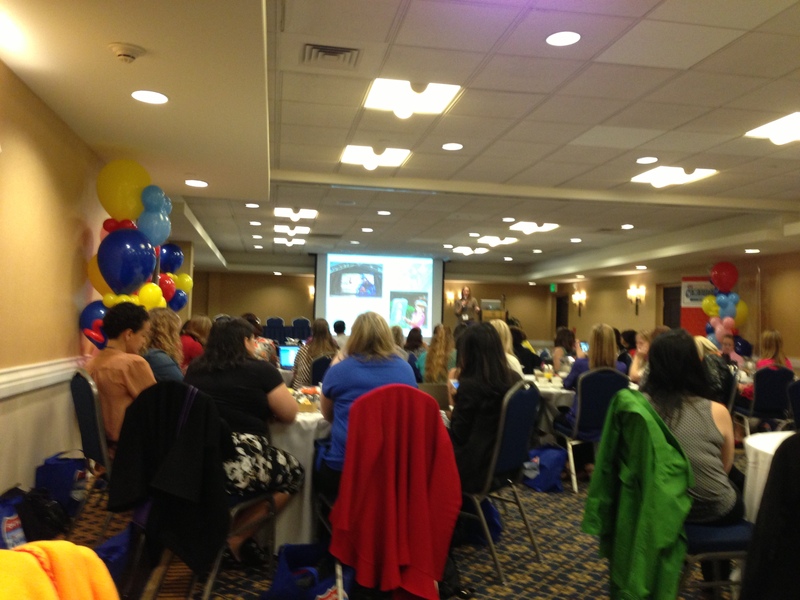 I learned a lot from both the presenters as well as other bloggers. The ability to network was priceless. Mindee’s presentation was one of the best I’ve ever seen. Buy her book. You won’t be disappointed. I’m going to sit down and really layout my thoughts on how to make PixieBudget a bigger and more powerful force based on some of the conversations and ideas presented. But also important is the life balance of parenthood, and that was repeated over and over again. This was one of the best things I’ve done for my blog and business in a long time, or maybe ever. 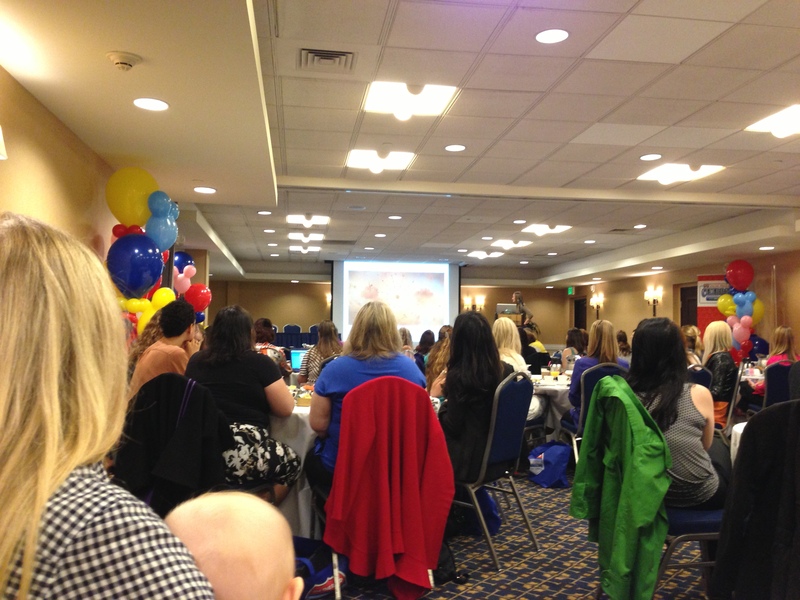 Get to know the Disney Social Media Moms website and #DisneySMMoms. 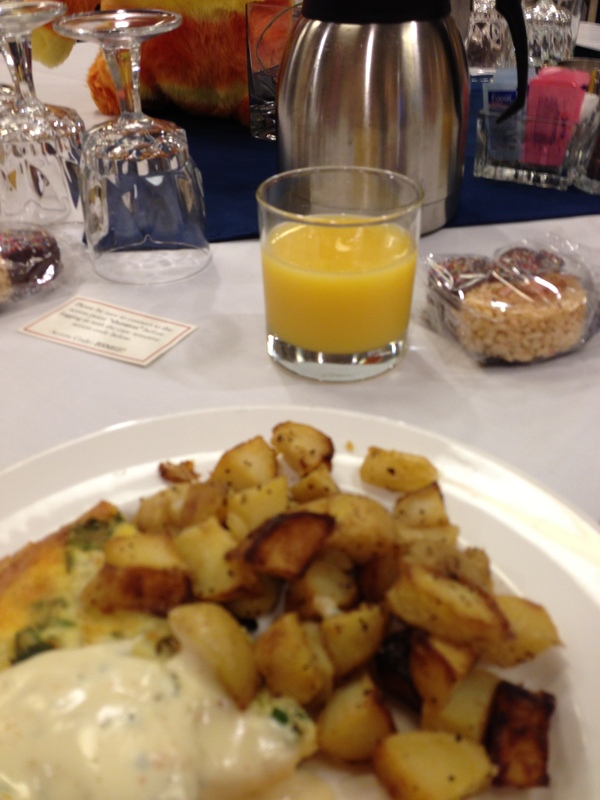 When there’s an opportunity to be considered for an upcoming event, take it, and get your blog noticed. Make sure you have a fist full of business cards, and list all of your social media handles. Heck, this is social media event, people want to follow you! Join as many Facebook groups or Twitter lists as you can prior to the event. Create a list of questions you’d like answered relating to business, life balance, or anything else you can think of. Don’t be afraid to network, everyone else is nervous too. Take lots of notes.. and pictures.. or maybe video..
Have fun! This is a Disney event after all! –Special Note: I was not sponsored or paid by The Walt Disney Company or any of its subsidiaries to promote Disney Social Media Moms. All of the opinions are completely my own, crazy and all!